we provide high end Grooming, Goods & Services for gentlemen who give a damn. 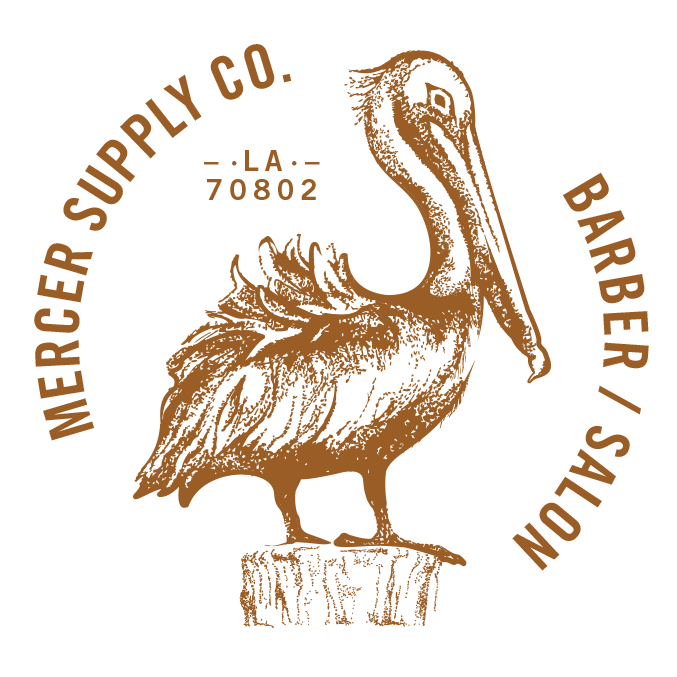 Mercer Supply Co. is a modern barbershop & mercantile for those weekend rabble-rousers with a weekday reputation to uphold. We gladly welcome anyone who appreciates good conversation, good manners and good whiskey. And of course, like all Southern gentlemen, we’re good with the ladies too. Our barbers / stylists are the best in the business. Men, women, politicians—we’ll shave anything with a beard. * Prices of all services will vary based on productivity, education, and seniority of stylist. If your kid can handle a blade by all means bring them. If not, enjoy your time away from them. Life will sometimes place obstacles in our way, which is why we offer a 15-minute grace period for your scheduled haircut, hair color, or blow-dry appointment. As for you folks in need of a shave or beard groom, we'll give you 5 minutes grace, then we recommend you avoid anyone wielding a straight razor. Arrivals after these grace periods will need to be rescheduled. A 48-hour notice of cancellation would make it much easier to reschedule your appointment; however, a cancellation of at least 24 hours is appreciated.